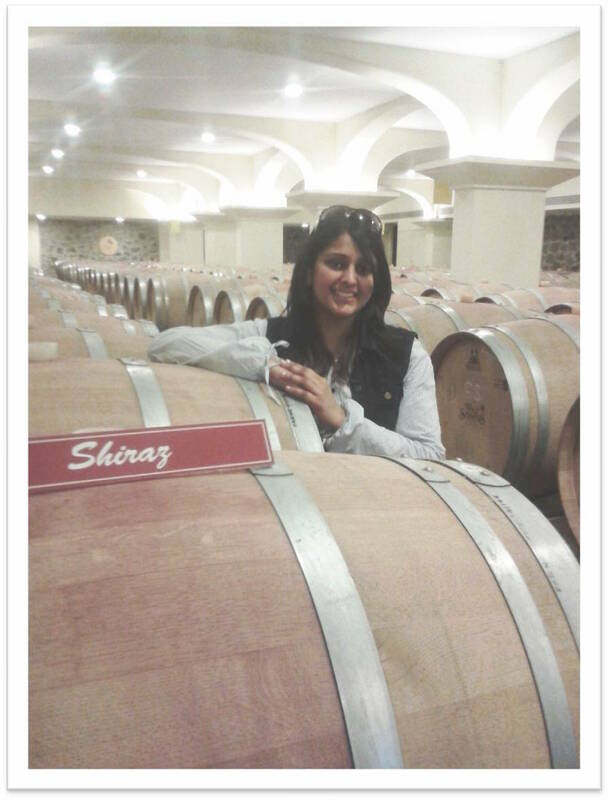 My Goa vacation last December was the stuff fun made of. We made the most of all 7 days during our Christmas, New year Holidays at this Beach Destination. All 7 days we did beach hopping, clubbing, eating out and exploring the Goa Territory in our bikes. It was a #NoFilter fun! As much the fun, the travel was, it also left my hair and face dull/dry/allergic with the exposure in sun, sand and Swimming pool. 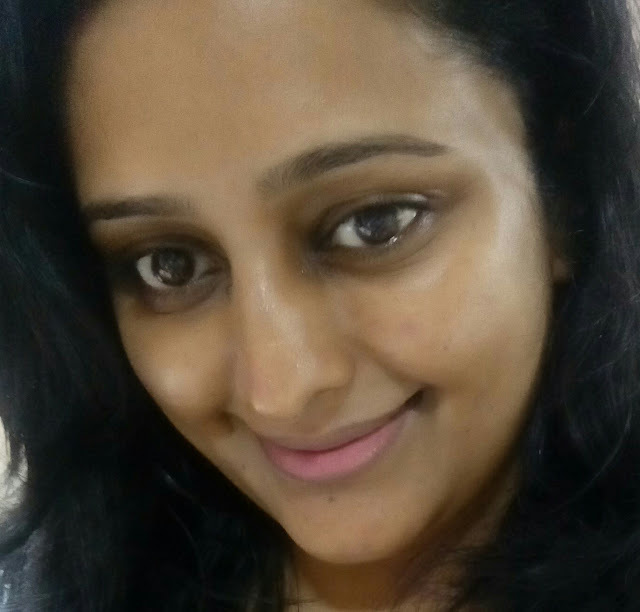 I came back to Mumbai with the tanned face, dull hair and a sunkissed-sea water skin. 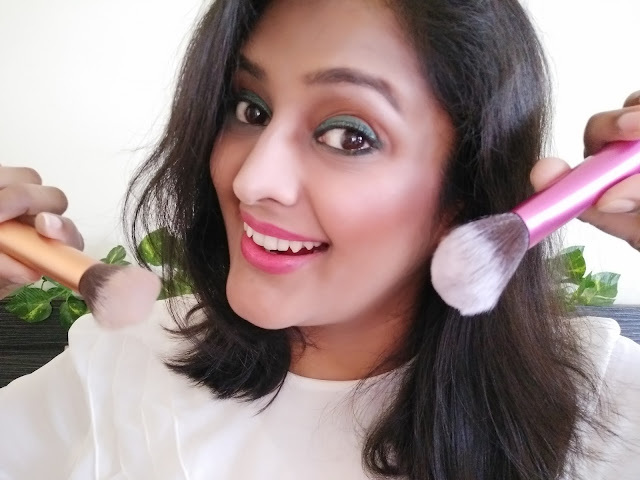 The #NoFilter trip in Goa did a lot of damage to my skin and hair and I truly needed to rejuvenate and pamper my skin and hair. 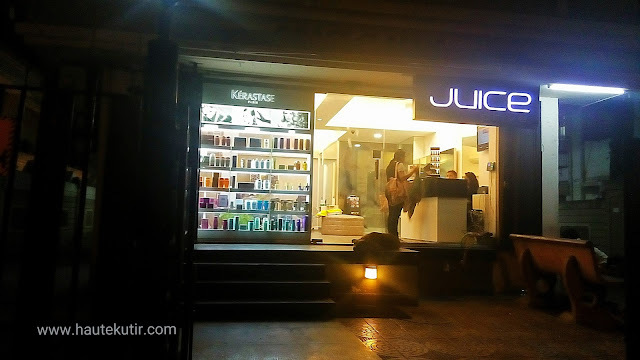 Juice is an upmarket, popular Salon in Mumbai. 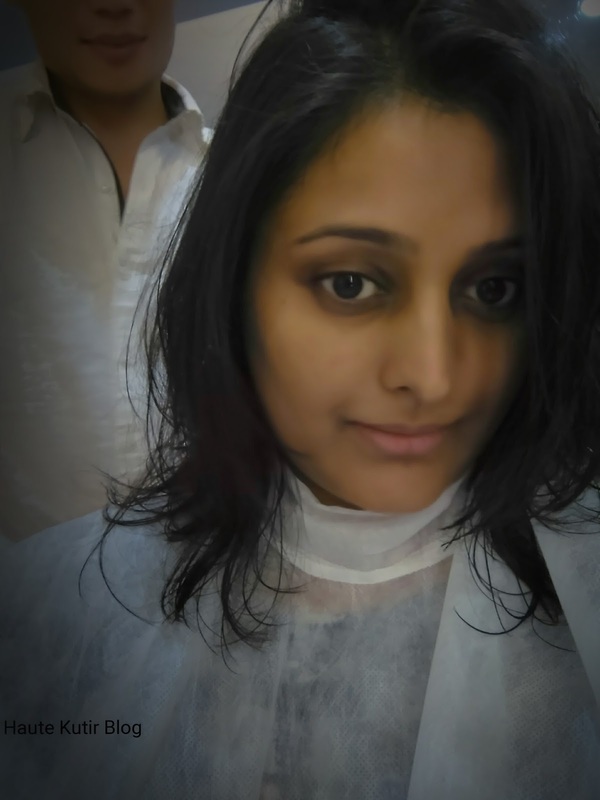 I booked an appointment and headed to their swanky salon in Khar for a good facial and nourishing hair treatment. The lovely Gladys from the salon helped me with everything from booking to getting the right consultation to final salon treatment. Goa Sun, sea and sand had left my skin not just tanned but down with sunburn. Aaarrrgh! do not ask me to place my "then" picture here as it was a nightmare of some sort. The skin while recovering from sun allergy, became absolute dull and dry. 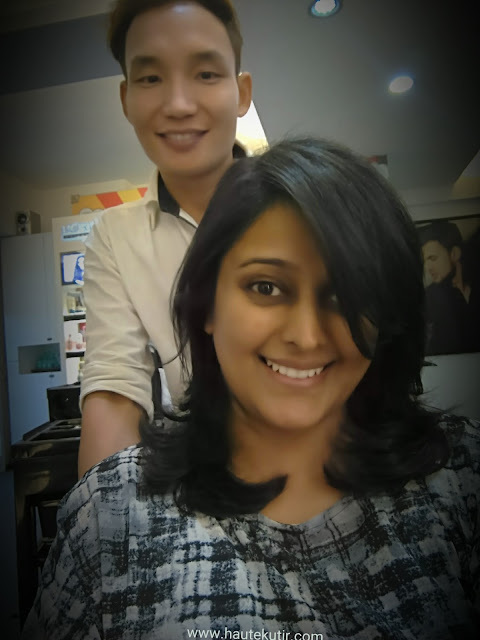 Shamin from Juice salon Khar, did a deep nourishing facial for me using Remy Lauren products. The Facial lasted for around 45-50 minutes. The result was super impressive. The skin was bright, smooth, radiating and continued to do so for next coming days as well. My facial therapist, Shamin was highly concerned and kept checking on my comfort levels from time to time. We had a lovely chit chat session over green tea, where we spoke about the double masks used in the facial at detail. The facial room lighting had some impact on pictures. However, I was supremely happy with my facial.So my travel beauty fatigue for sorted for my face, next in line- hair. You can see my radiant face post the facial. However, notice how unruly my crown is looking. Need to fix that soon too. How? read more to know more. 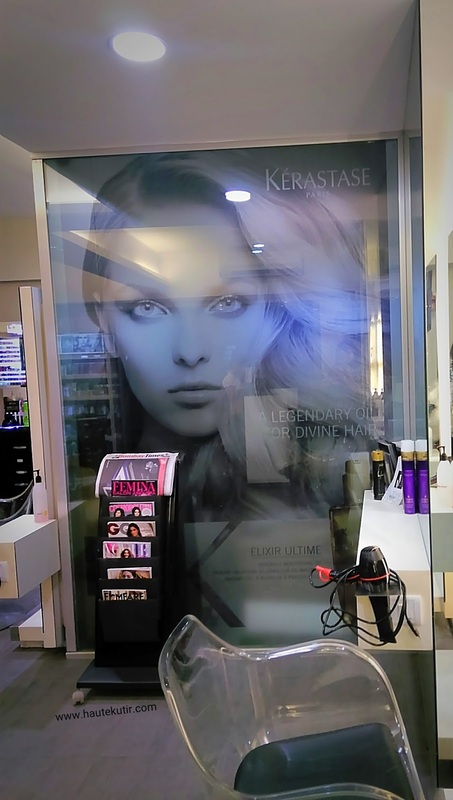 We did a small hair analysis and had two options to consider- A regular Kera spa or the Cysteine treatment that I suggested. We also contemplated on getting a hair color but before, that we need a good protein boost for my wavy hair, frizzy hair that were playing out of form. 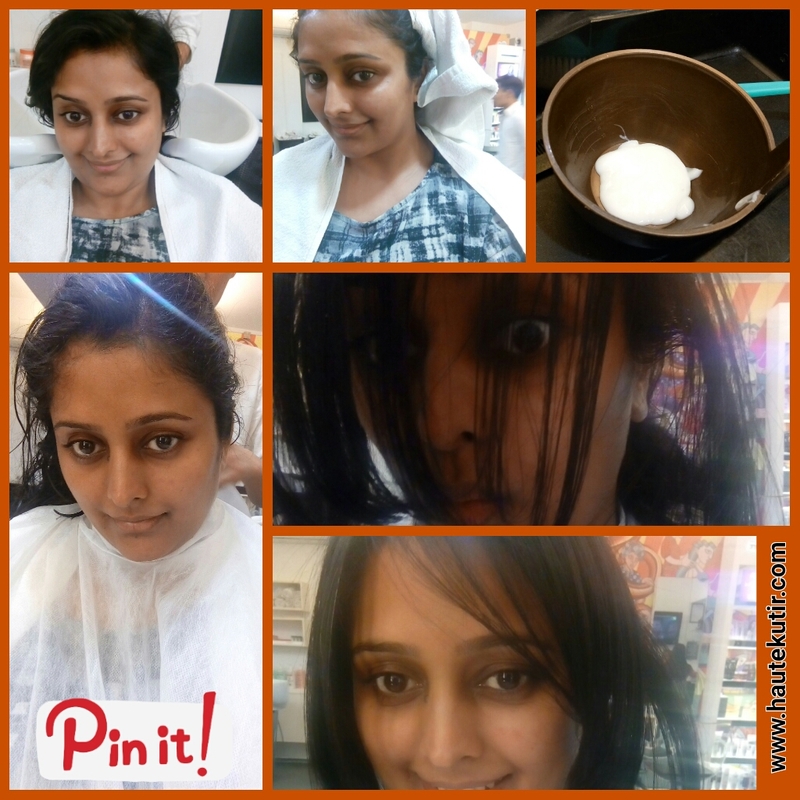 Given my bad experience with Kera treatment with another salon in past, I wanted to take minimal risk. Hence, we chose to do Cystine on my fringes to experience before we go full throttle. Cystene is a new gen, hair straightening/smoothening treatment. More than exactly "straightening" or smoothening per se, it is a protein boost [amino acid] that is infused in your hair, merges with the existing amino acid, fills the deficiency gap and strengthens the bonds, curing the unruliness out of your mane. It also adds to hair shine at the places applied. It was my first hair experience of this kind as I do not like blow drying my hair often, leave alone infusing chemicals or any other such treatment. I have lost lots of hair and hair shine post my lung ailment in Bangalore and wanted a reliable boost for my hair. Problem statement: Dry, Rough, Frizzy and Unruly hair. Being a not a big fan of regular blowdry and heat stylings, I still wanted my hair to look neat, well settled with least maintenence for a considerable period of time. 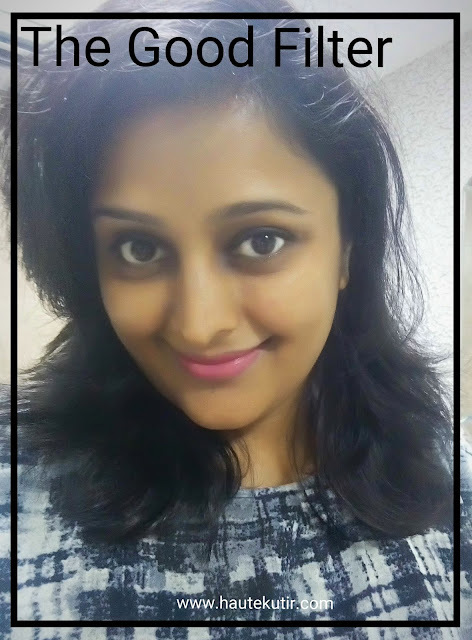 Given my hair type, volume is important to me, wherein cysteine boost cut downs the volume making hair look flat. Andy from Juice Khar did my hair cystene treatment and explained me the process along with the benefits, care and other such advices. Problem Statement 2: I got a new voluminious hair cut from JCB recently. I did not want to ruin my hair style by cutting down the volume as it may change the hairstyle completely. Solution: I chose Cysteine on my fringes sans crown to administer the good claim. The Process and the cost: Now I have heard about different processes adopted at different salon during my research. However, the one at Juice was extreme simple and fuss free. It started with shampooing my hair and ended with blow dry. The whole process took around 1-2 hours for me. Here's the final look, post the blow dry. Isn't this look dazzling and doing justice to our hairstyle and personalities? Cost: The cost of my treatment was around Rs 3.5k for the fringe area. 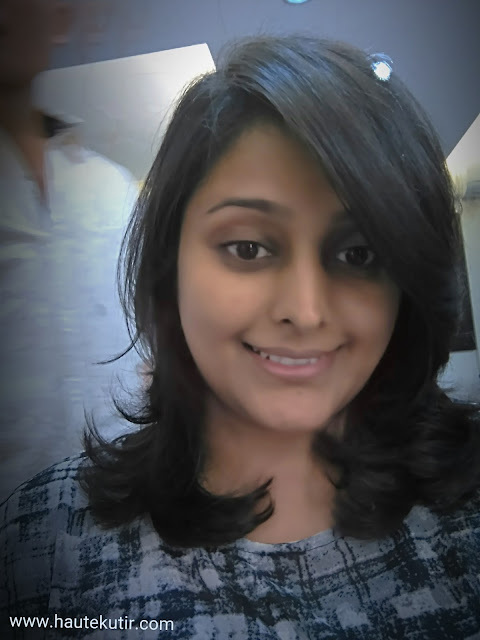 For the entire hair, the package would be Rs 9500 sans care products. I found the cost a little on a higher side and think that may be the bottleneck for a large no of people wanting to do it. Nevertheless, I would be happy and call it VFM, if it stays for 3 months for me, as claimed. Perhaps that is the reason I delayed the review to see the result before I endorse it to my readers. So far am very happy about it. We will confirm the concluding experience post-March. One significant thing to note is after cysteine treatment on your hair, it is mandatory to use hair products that are free from sulphate and parabens. 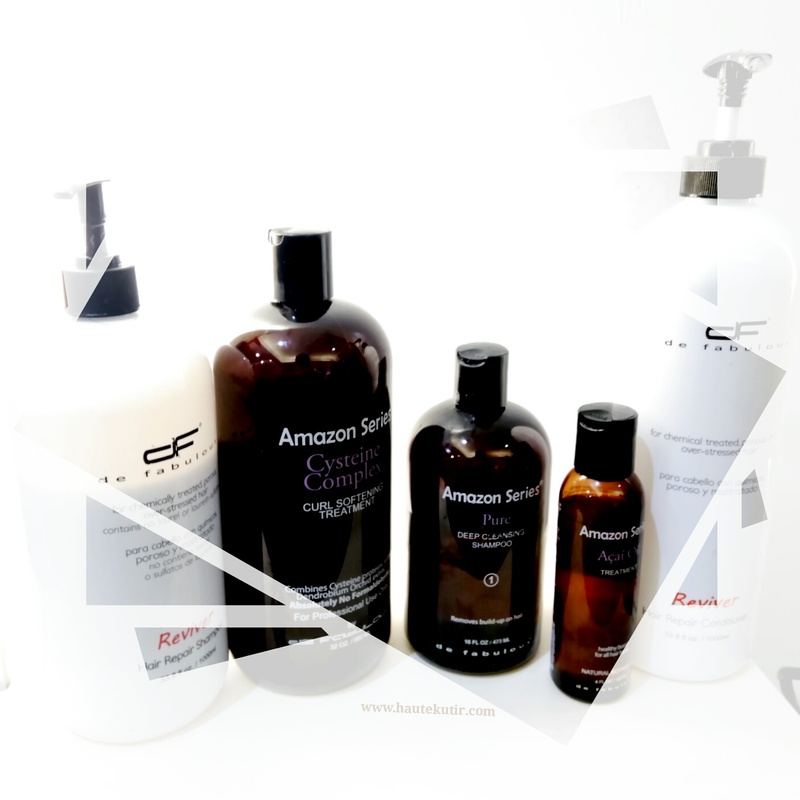 The salon recommends the specialized products from Amazon. 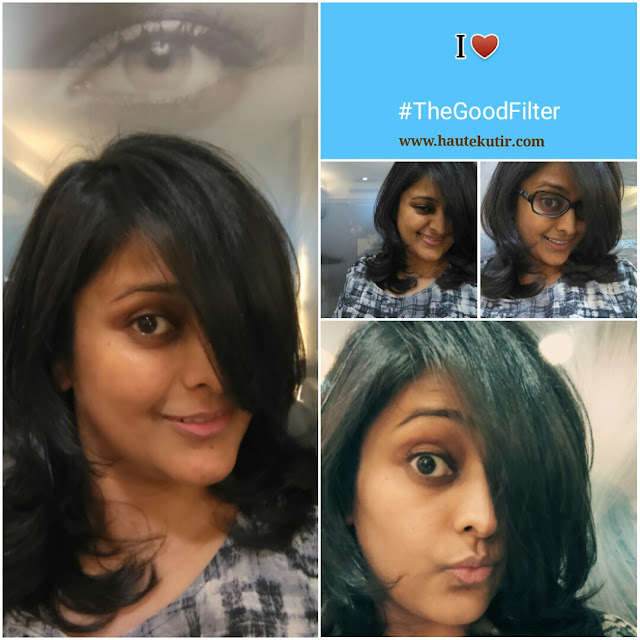 Well, this was about my day out at Juice Salon and applying #TheGoodFilter that helped me sort my travel beauty fatigue out. 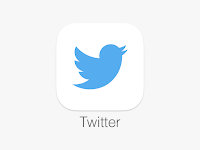 Hope you liked reading it and find it informative too. Do let me know if you have any questions regarding these two beauty services and we shall be happy to help. I would still insist, that love the natural hair and beauty you have. However, for some good pampering, beauty indulgence and grooming, Juice Salon is one wonderful salon to help you accentuate your beauty.